It can be argued that the Accuracy International Arctic Warfare (L96A1) is the most successful modern sniper rifle produced and it has served the United Kingdom, and many other countries admirably since its inception in the 1980s. When the United Kingdom needed to provide an improved rifle with greater capability for use with their Special Operations forces, they again turned to Accuracy International. This time the British armed forces took the Accuracy International Super Magnum chambered in 338 Lapua and made some minor changes and brought it into the inventory as the L115A1. In the hands of their highly trained special operations snipers, the rifle proved to be very successful. The PM Super Magnum, or Super Magnum (SM) as it is now known, is essentially an Arctic Warfare rifle upgraded to accept the high power cartridges, especially the .338 Lapua. The barrel is slightly longer to take full advantage of the .338 Lapua cartridge, and the range of the system increased significantly of the standard L96A1. This rifle is approaching the range of the big .50 cals, but yet its only slightly heavier then the standard 7.62mm L96A1 version of the rifle. With high quality 338 Lapua ammunition, the accuracy of all the L115A1 and A3 is about .5 MOA. 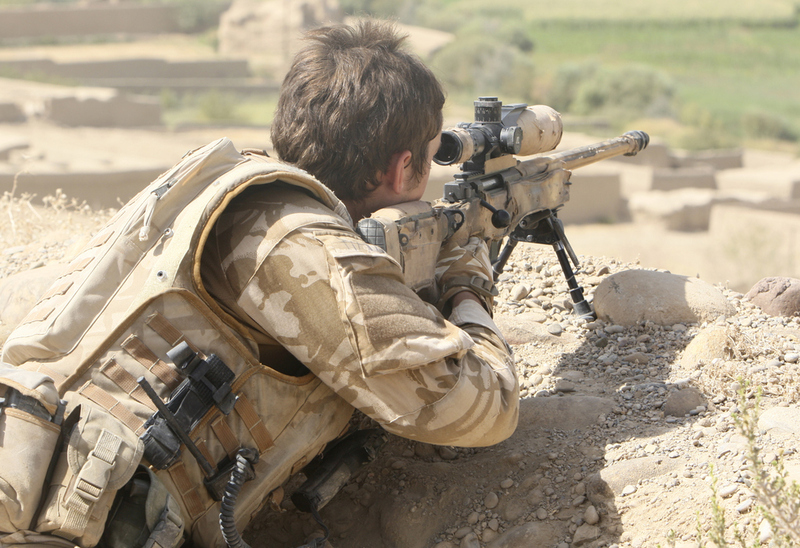 In 2008, as the conflicts in Iraq and Afghanistan continued to be prolonged, the United Kingdom found that their snipers were being over worked and their training and equipment needed to be upgraded. As a result, they instituted what was known as the Sniper System Improvement Program (SSIP). They already had the L115A1 being used quiet successfully with their Special Operations forces so they decided to build upon that success and incorporate the Super Magnum as their primary “Platoon Level Support Weapon” and to utilize the L96A1s to complement the big 338 Lapua. They incorporated some changes to the L115A1 including a folding stock, a new Schmidt & Bender 5-25x56mm Scope and a modified muzzlebrake that incorporates attaching a suppressor. The new rifle was designated the L115A3 and is now being employed with the snipers in standard infantry units and no longer just Special Operations. The modernized and improved L115A3 has proven to be highly effective with an effective range past 1500 meters when utilized by a competent sniper. 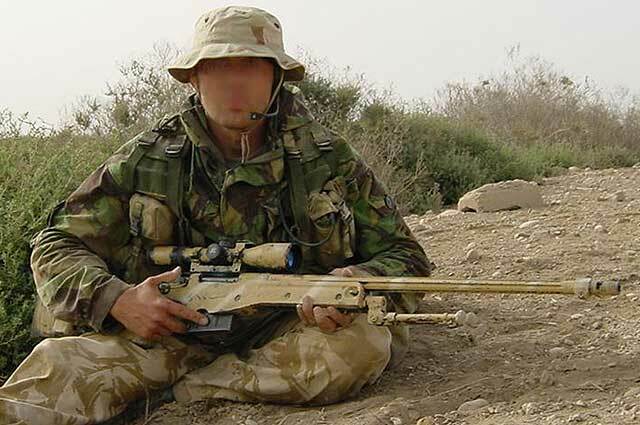 It was with the L115A3 that Corporal Craig Harrison recorded two confirmed kills at 2475 meters. While the conditions were perfect for those shots, it does provide an idea of the capability of this rifle system. Several other additional military forces around the world are adopting the Super Magnum as a special purpose sniper rifle with their own military. Please review Craig Harrison’s rank. I believe he is a “corporal of horse” in the Blues and Royals, which is equivalent to a sergeant in the rest of the British army. Thank you Mr. Cooper for your innovative genius! God bless liberty! Malcom Cooper was the front man, your thanks should be directed towards Dave Walls and Dave Caig, they were the design engineers. Thanks Dave Walls and Dave Caig!